Ready to submit your CEU's to AST? Go here for the AST CEU reporting form, fill it out, and send it in with your CEU certificate so your credits will be on file when it's time to re-certify. The president shall be the official representative of the state assembly at all times and places. He/she shall be responsible in discussions with the Board of Directors for the activities of the state assembly and preside at all meetings of the state assembly and Board of Directors. Work with the Vice President to determine the appointments of standing committees with approval from the Board of Directors. If a vacancy occurs on a committee during the year, reappointment shall be made by the President with input from the Vice President. If the vacancy of a chair occurs, this appointment will also be made by the President with consultation with the Vice President. Establish and maintain communication with committees (both standing and special) throughout the course of his/her term. Address problems within the workings of the committees in a professional non-biased manner at all times. Written documentation of any said incident is imperative. Maintain regular communication with the Board of Directors through updates submitted for distribution in Board communications. Report to the Board on the activities of the committees. Terminate committee appointments when committee members are nonfunctioning with the approval of the Board of Directors. Assist the Vice President in preparation for the position of President in case Vice President assumes President role and maintains open communication with the Vice President on a regular basis. Is knowledgeable in the State Assemblies Policies and State Assembly Bylaws. Work to maintain a dialogue with other professional organizations, i.e., AORN, ACS, etc. Recognize outstanding achievements among members and those who support the profession. Recruit qualified candidates to be placed on the slate for elected officers. The Vice President shall, by active aid to the President, acquaint himself/herself with the duties and responsibilities of the presidency. Shall perform the duties of the President during his/her absence or inability to serve, and shall perform other duties as delegated to him/her by the Board of Directors. Assist the President with an orientation of newly elected/appointed officers and committee members. Consult with the President regarding the termination of committee appointments when said committees or members are nonfunctioning. Assist the President with replacements for committees for vacancies during his/her term. Maintains communication with the President on a regular basis. Recruit qualified candidates to be placed on the annual slate for elected officers. Vice-President oversees the education committee of the state assembly. The Treasurer, who shall be bonded and insured in an amount determined by the Board of Directors and the fees for which shall be assumed by the state assembly, will bear responsibility to assure that all state assembly funds be collected, safeguarded, disbursed, and accounted for in a manner determined by the Board of Directors pursuant to the State Assembly Policies. She/he shall be chair of the Budget and Finance Committee and shall supervise the preparation and submission of the mid-year financial report and annual financial report with supporting documentation to AST. Countersign with the President (or other individuals designated by the Board of Directors) all vouchers for withdrawal of funds from the savings and/or checking account of the State Assembly and all checks except where previously approved by the Board of Directors. Prepare a monthly accounting of beginning balance, disbursements, deposits, and ending balance. Three copies will be made and signed by the treasurer, one copy for the treasurer’s record, one to be sent to the state assembly president. A copy of the treasurer’s report will be submitted to AST bi-annually. All bank drafts issued against state assembly funds will be signed by at least two Board members designated by the Board. Advise the Board of Directors of unbudgeted financial expenditures. Formulates an annual budget for the calendar year in conjunction with the State Assembly Board of Directors. Monitors the budget. Notifies AST headquarters of change in banks and/or account(s). Ensures that records are audited or reviewed annually or before turning them over to the newly elected Treasurer. If the Treasurer must vacate the office before the conclusion of her/his term, a complete financial statement and review must be submitted within thirty (30) days to the Board of Directors and President before the new officer assumes the duties. Shall transmit all State Assembly financial records and cash on hand within ten (10) days after the end of his/her term to the incoming treasurer. Shall serve as Chairperson of the Budget and Finance Committee. The Secretary shall maintain a record of the proceedings of the Board of Directors meetings, State meetings, and the Annual Meeting. She/he shall forward to the president for distribution to the appropriate committees all pertinent materials in abstract or excerpted form, whichever is better suited to the situation. At all meetings, she/he shall have a copy of the current State Assembly Bylaws, State Assembly Policy Manual and Robert’s Rules of Order available for reference. She/he shall perform other duties pertaining to her/his office or as delegated to her/him by the President or Board of Directors. Provide a copy of the Board meeting minutes within thirty (30) days of the meeting to all members of the Board. Maintain records of motions presented during Board and business meetings. Take roll call during Board meetings. Present minutes to the membership during the AnnualMeeting and Elections. Be responsible for developing a file system to maintain motions during meetings. Be responsible for developing a file system to maintain all state assembly records relating to Board meetings, Executive Board meetings, and the Annual Business Meeting and Elections. 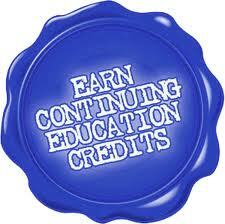 Assist the Education Coordinator with the registration of members at the continuing education workshops as needed. Maintain the permanent record of the state assembly correspondence that is received from the outgoing secretary until the record is passed to the incoming secretary. Take minutes of all Board of Directors’ conference calls. Attend the annual business meeting and one additional state assembly educational workshop annually. Oversees the Bylaws, Resolutions, and Parliamentary Procedures committee of the state assembly. Read and review the State Assembly's Bylaws annually and any other materials as directed by AST. Have the authority to transact business between meetings of the active members. Formulate policies and procedures to be included in the State Assembly Policy Manual. No state assembly policy or procedure may supersede or take precedence over the State Assembly. Foster the growth and development of the State Assembly. Have the authority to establish State Assembly Board of Directors standing committees, the composition, and duties of which shall be stated in the State Assembly Policy Manual. Review all committee reports and determine the action to be taken. Authorize the awarding of all contracts. Authorize the exclusive use of the official insignia of the State Assembly. Fulfill any other duties as specified in these Bylaws. With the diversity of ideas, opinions, and attitudes; regardless of whether people agree with each other, they do need to respect one another. The State Assembly Board of Directors shall hold at least two meetings per year. Special meetings may be called by the President or upon written request of three members of the State Assembly Board of Directors. Written or electronic notice of such a special meeting shall be sent at least thirty days prior to the meeting unless waived by a majority vote of the State Assembly Board of Directors. Five members of the State Assembly Board of Directors, at least, two of whom are officers, shall constitute a quorum of the State Assembly Board of Directors. Minutes of all State Assembly Board of Directors' meetings shall be maintained and available for inspection upon request. Voting by the State Assembly Board of Directors shall be by either voice, mail ballot, telephone conference call, fax, or any other form of electronic transmission which complies with state law. The term of office expires immediately upon the election of the replacement officer (unless the incumbent is re-elected). All business that is still pending should be completed before the annual meeting is adjourned. All items of importance shall be given to the incoming officer/board of director at or before the annual meeting ends. No officer or board of director may continue to use state assembly funds for any purpose once the incoming officer/board of director is elected.